Your air conditioning system uses a refrigerant (usually Refrigerant), which converts from gas to liquid, thus transferring heat out of your home. AC compressor presses the refrigerant, which gets there as a cool, low-pressure gas. The compressor’s task is to pack the fluid molecules closer together. This increases gas energy and temperature; as a result the working fluid is turned into a hot, high-pressure gas. This compressed gas is transferred to the AC condenser for the next stage of the AC process. An AC condenser has metal fins all around it. The fins operate like a radiator in a car that helps the heat disperse faster. The temperature of the working fluid leaving the condenser is much cooler and changed from a gas to a liquid under high pressure. In such a way that proper cooling is provided for your residential or commercial property. In some cases, condensers become damaged or worn out due to mineral build up and results in the AC system running less than efficiently. 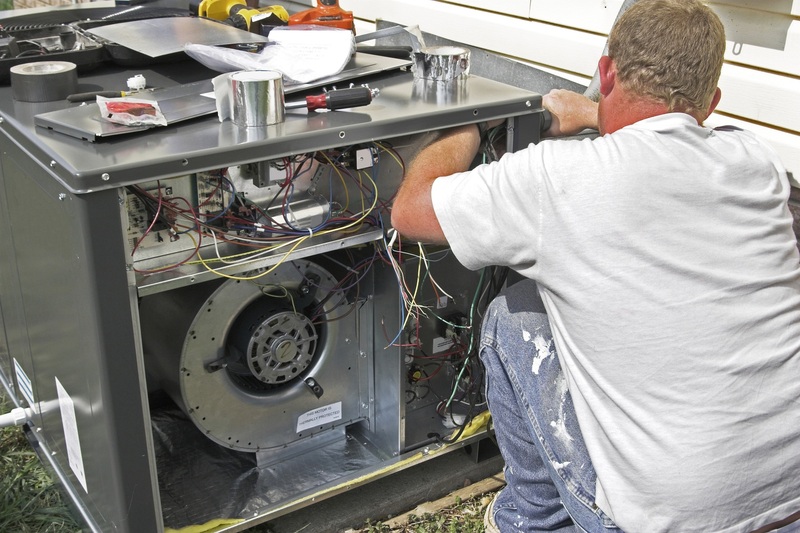 At Orange County Plumbing Heating & Air Conditioning our professionals are experienced in servicing the condensers in AC systems across the Orange County area. We will accurately diagnose your condenser problem, whether it is badly damaged condenser fins or condensing coils blocked by dirt and debris. Our knowledgeable and uniformed team will arrive at your home or business facility upon your call, stocked with the latest technology and top-notch tools to get the job done right the first time. When your air conditioning system stops working and the problem is your AC condenser, our specialists at Orange County Plumbing Heating & Air Conditioning will determine whether you need to repair or replace the existing condenser. The factors influencing your decision will include the age and efficiency of your AC system and the cost of repair versus replacement.